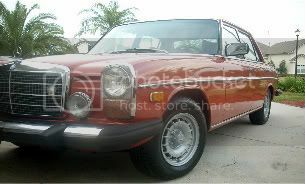 I am seriously considering buying a 1968 200D. It has a freshly rebuilt engine, 4 speed manual on the floor, new clutch, new brakes, new tires, fresh detail job, working A/C, very little rust, and nice interior/exterior. My last car was a 1979 300SD W116. What's it like to drive one of these, and what are your experiences with this type of car? I want to use it as a daily driver (and of course it will need occasional maintenance to keep running in top shape). I am sick of riding the bus or my bicycle to work and I could drive this car to work on Monday. I realize it will not be as quick as my 300SD was, but I am hoping it will be able to merge onto the freeway without getting rear ended and will keep up with traffic. What kind of fuel mileage should I expect? 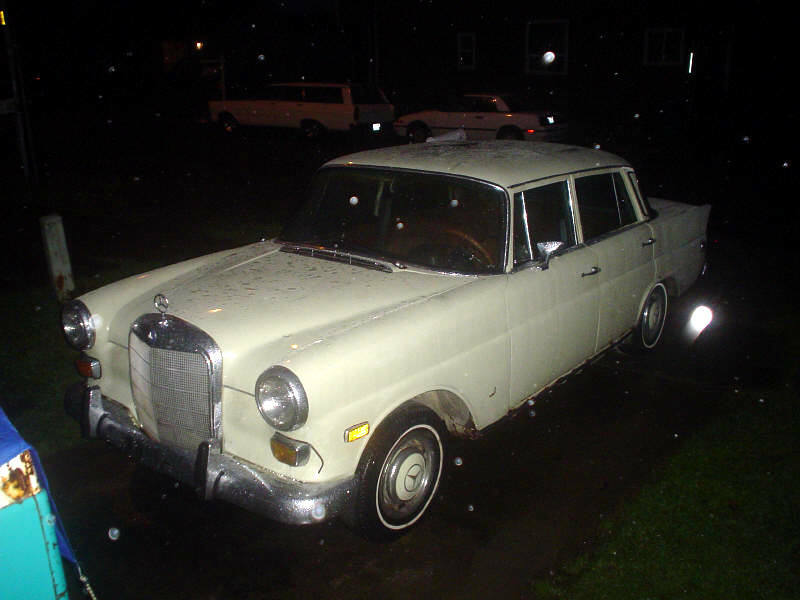 I drove my roommate's 1966 200 gasoline W110 with manual transmission on the freeway and it is actually really zippy. I imagine the diesel might not be as responsive, but if it's close then I will be okay with it's performance. I think it's supposed to be 0-60 in 29 seconds! Haha. I am actually really excited about the car. If I buy it, I will replace any weatherstripping it may need, any small odds or ends it needs to be reliable and comfortable, and I want to add a CD player and good speakers. Or maybe I will install a Becker Mexico cassette player and have an auxiliary CD player attached to it. 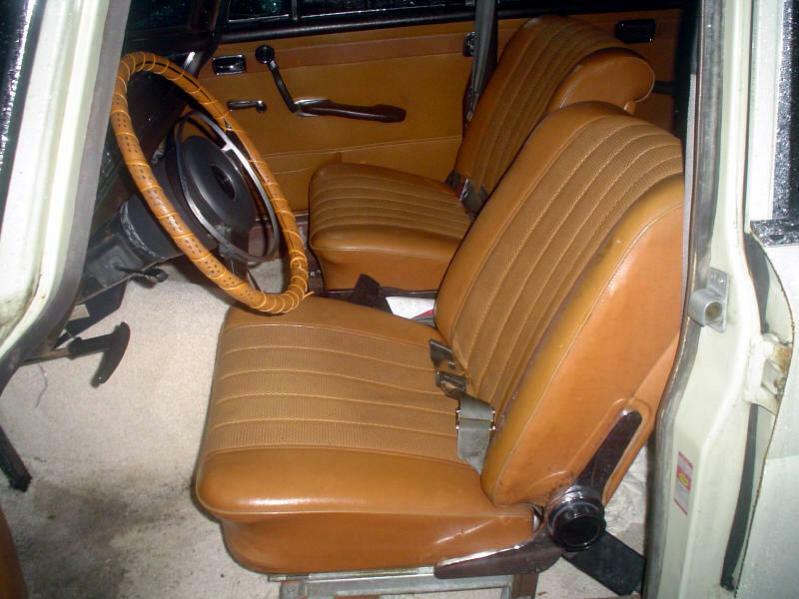 1968 was the first year of the 220D, and they had some bad metal in the engines. Doubtful that very many original 68 engine blocks survived this long. Most of them did not make it to 100k. So, if rebuilt engine means it had a new short block at some point, then OK. Otherwise, get a compression test first. I will check on this. I know 1968 200Ds tended to have problems with the engines. It should drive a lot like a 108 but slower. The chassis was very very competent on the fintails. The swing axles get a little touchy if you get them to break loose in the rain though, but as long as you don't push them to the traction limit on back it is very very smmoth and has excellent handling. Also keep the kingpins lubricated. the suspension pivots will sieze if you don't. I realize it will not be as quick as my 300SD was, but I am hoping it will be able to merge onto the freeway without getting rear ended and will keep up with traffic. You won't have any problem at all meeting this goal.... as long as there is no traffic at all on the road. What kind of fuel mileage should I expect? 26-30 MPG depending on time of year and highway/city mix. I think it's supposed to be 0-60 in 29 seconds! Haha. WHy are you laughing? The 0-60 time is about right, do yourself a favor and take a ride in another car and accelerate to 60 in 30 seconds to see what you are in for if you decide to use this car as a daily driver. The W110 chassis 200D was reliable and comfortable..... 4-5 decades ago. Trying to use one as a daily driver today is IMHO not a great idea. I think you are going to end up replacing more than just "odds and ends" to keep this car a reliable daily driver. Good luck. If the car is in great working order, and maybe has a few quirks I say go for it using it as a daily driver. I've been using my 1970 220D which does 0-60 in 31 seconds as a daily driver for the past 6 months and it has been nothing short of a rewarding experience. Hills are another thing my 220 hates and are what slow me down pretty bad. But I mean you can't do anything with a 4 cylinder 65hp diesel car. But I mean for going to work and around town, it's a great car to use. I bought the car! I paid $1,200 for it and drove it 60 miles home. The car starts right up and the acceleration is not bad! My roommate followed behind me and he said he was amazed because he was going 65 miles per hour and I was pulling away from him. The engine RPMs do get high once you go above 65 and 70 was the fastest I felt was safe for the engine. But, I must say I am not disappointed with the way it drives. I think I will install 14" wheels to be able drive on the freeway at lower RPMs and first gear is so low I can almost start out in second. It still has the original license plates from 1968. 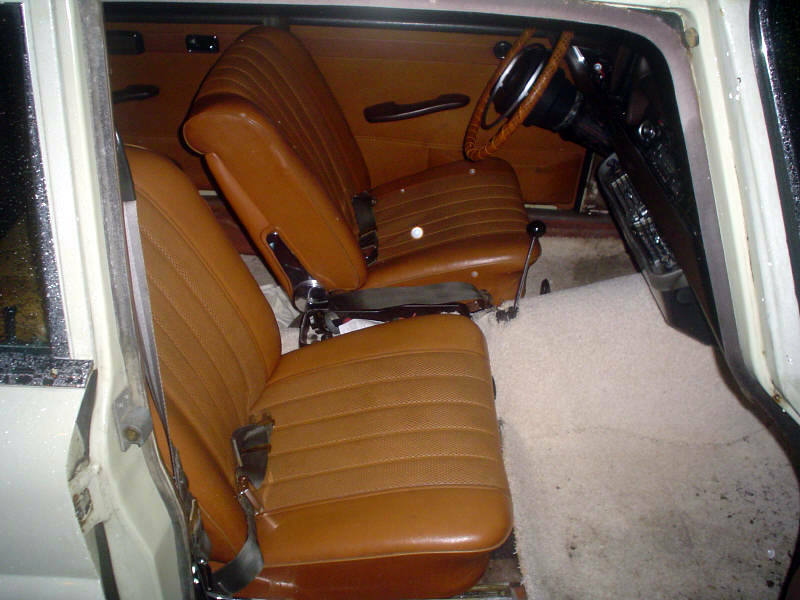 The interior (tan/brown) is amazing other than the original carpet was replaced with this hokey white shag carpet. 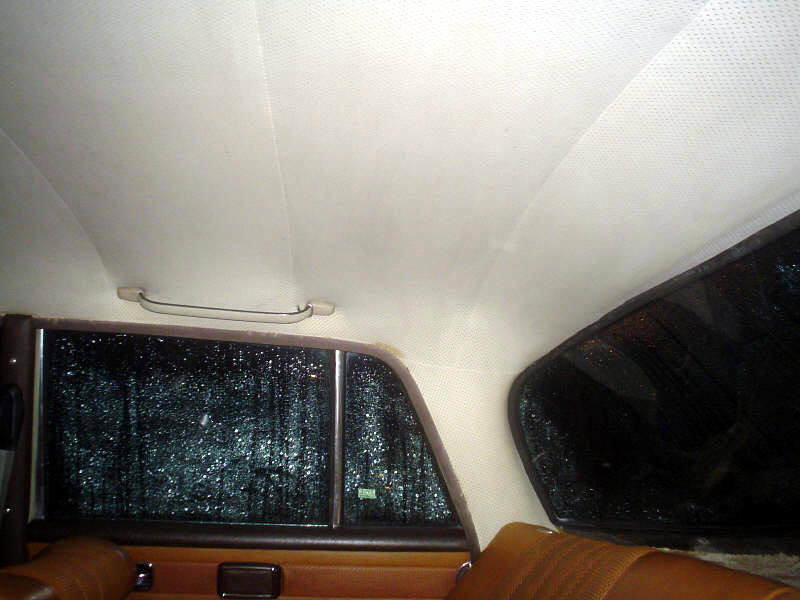 The dashboard has no cracks, the door panels are perfect, the headliner is excellent (no sunburn by the rear windshield) and the seats are perfect (even the top of the back seat) other than there is a very small tear in the center of the bottom of the driver seat that is almost unnoticeable. The air conditioning blows cold air and the heater works. The engine was rebuilt, new clutch, new brakes, older Michelin X Radial tires that have almost no wear on them. 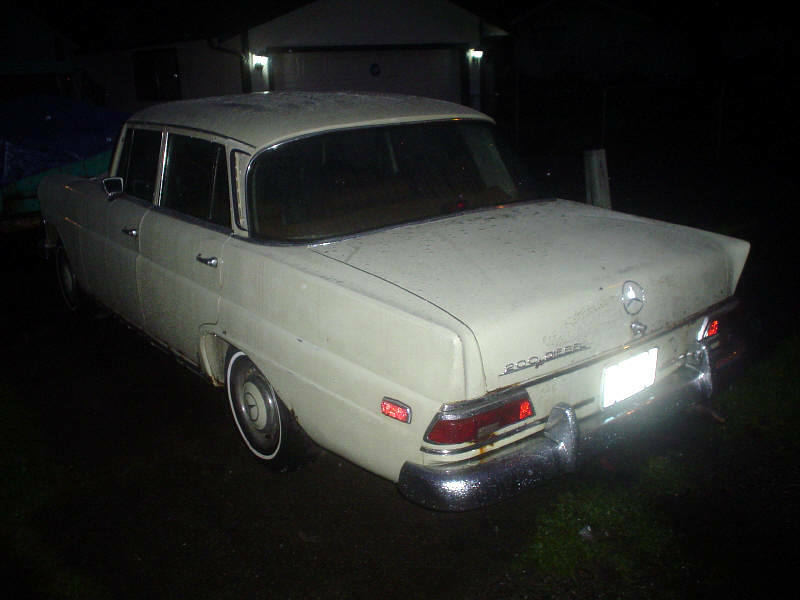 I think the paint (light beige) is original and it is very shiny, though the paint is bubbling in the rear of the trunk and taillight area (and the rocker panels are rusty). One bad thing about it is the floor shift transmission was sloppy. I gave it some attention. The seller had just had a new clutch put in and noticed that the "old" clutch disc and pressure plate looked new (of course, when you rebuild an engine you put in a new clutch). The place that did the clutch, however, did not do a good job at putting the shift linkage back together. The shift lever was actually upside down so it was awkward to shift and apparently the mechanic didn't care what bolts and washers went to what. I sorted it all out. I installed two new bushings and had to find a spare ball socket bushing half that holds the shift lever up as this bushing was gone and the shifter as resting on the body metal. It has a working third brake light, which is interesting. The door seals are mostly intact, but I think I will replace them anyway and will probably squirt some black bedding compound in spots on the windshield seals, though I think replacing the windshield seals is imminent. I am going to get the "fast glow" glow plug kit for this engine (plugs heat up faster and if one goes out, the others will still work), an H3 Halogen headlight set, and biodiesel-friendly fuel hose. Pictures when you have the chance, please. Congratulations! Those old diesles with a stick are fine to drive...very torquey. I can tell you are already planning many things for your 200. I had a 75 240D w-115 with a four speed and had a blast with it for several years. I bought it from a guy who ordered a new 75 300D as he warned me of the lack of power. I got the better deal as he broke in the engine for me and helped by taking the sting out of a new car price. A few trips across the Continental Divide on I-70 thru Denver in the slow lane but I always got where I was going and I was never late. Last edited by dieselchatter; 11-22-2009 at 07:07 PM. Congrats. 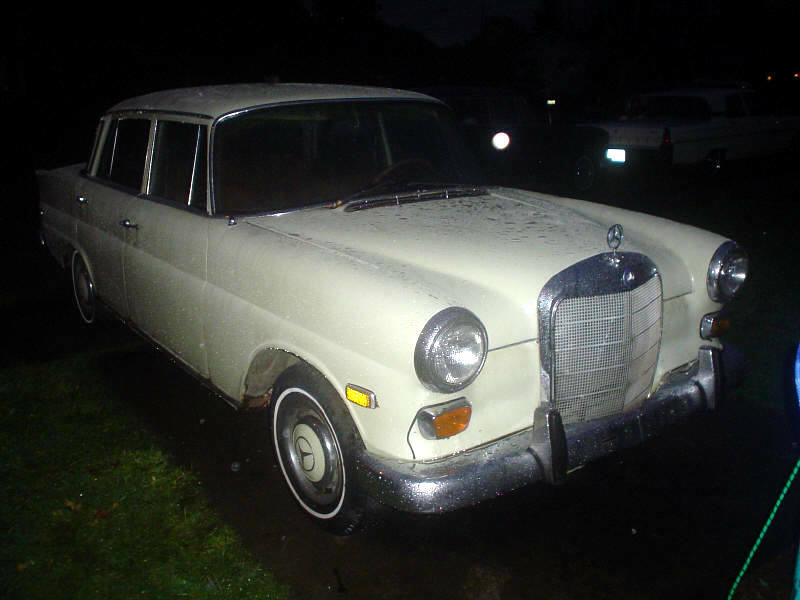 I would love to have a W110 diesel with a 4-speed. 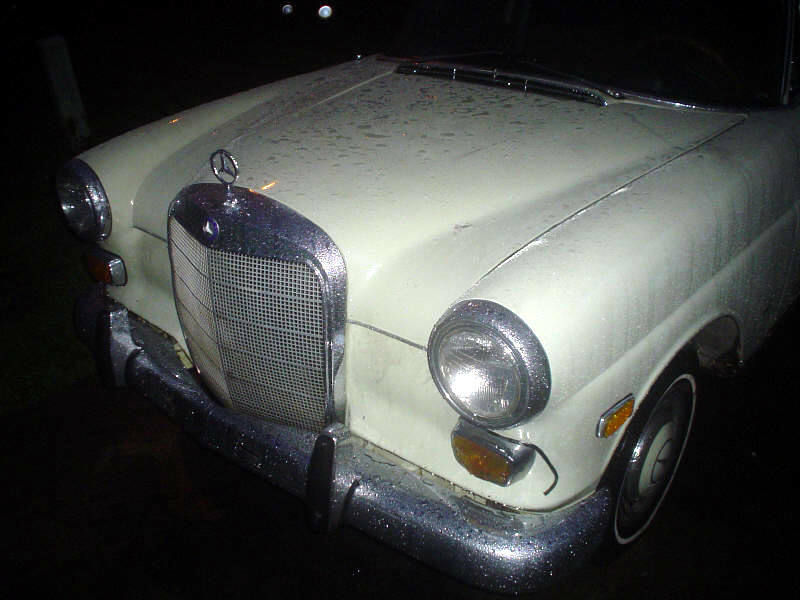 I would like a 4-speed in my W115 but I hate to make it non-original. Nice write up, and it sounds like a neat car - congrats! Here are some pictures I took of the car tonight. 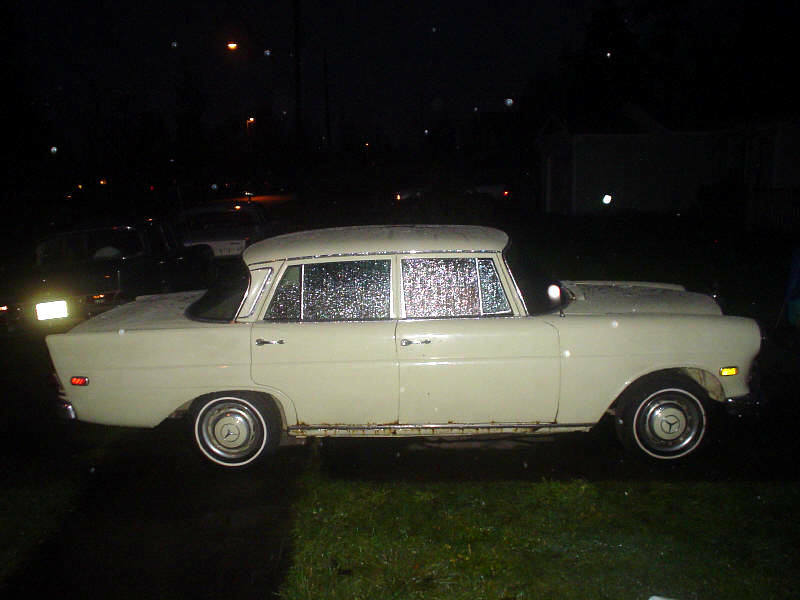 It's raining and not very good lighting, but this should work for now to give you an idea of the condition of the car I bought. Overall, I think $1,200 was a good price. It's in nicer condition than I expected, with the exception of the rusty rocker panels and the engine being very dirty and in need of much new rubber. The body really only has a couple of door dings as far as dents go. The paint and chrome are shiny. The rocker panels, unfortunately, are rusty and the driver side will need to be replaced (and advice on this?). All glass is good and I think it is tinted. 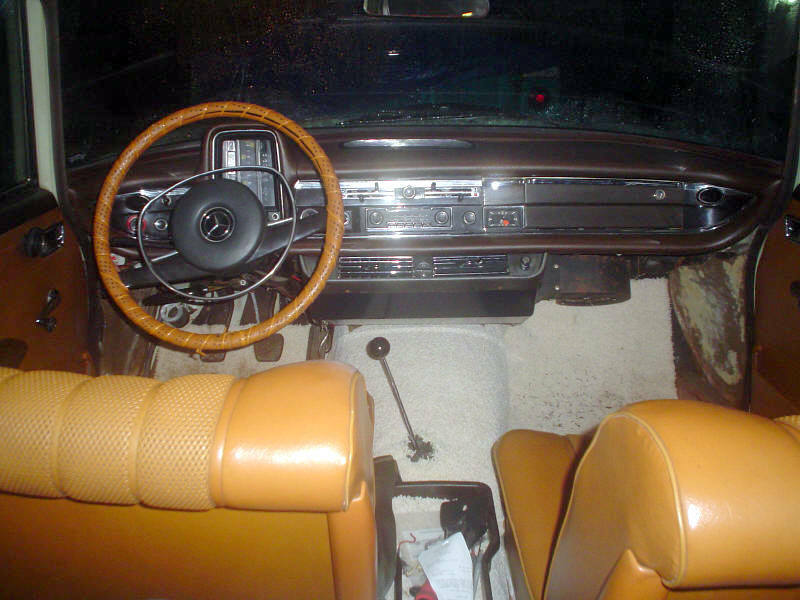 The interior is almost perfect, but that ugly carpet has to go. Remarkably, the top of the rear seat and the headliner are not sunburned. I'm currently waiting on a proper oil filter kit (have the oil) and will need to remove all the rubber fuel hose to find what sizes I need to order biodiesel-compatible hose. Much of the hose is crimped into banjo fittings and such, but I think if I can cut the crimped hose off and then clamp the new hose to the fittings themselves. I'll be replacing the tank screen and fuel filters while I'm at it. I will replace the rubber valve cover elbow to stop that oil leak, then clean the engine to see if it has other leaks. Then the engine will be back up and running for now until I have the money to replace all coolant hoses and flush the cooling system and put in Zerex G-05 coolant. I want to also replace the heater core valves if they are still available new/affordable so I have no chance of coolant leaks other than in the case the heater cores or radiator may leak (they aren't currently leaking). Then the shift linkage on the transmission end will need work to get rid of the ridiculous amount of slop. I will be installing 14" wheels that will accept the original hubcaps for more ideal gearing.